Before My Little Pony, making Huorn fabulous, a papercraft book. Look at that talon! Maybe we need an “above you” tag? I immediately concede that there are many sharper eyes than mine in GSS world. Yet I defy you all to make linear perspective sense out of that blue creature’s leg alignment! Well, it makes a change from unicorns. Sorry, UNICORNS! Surely the sequel would be Huon More Time? Huon – a noble gas invented by Norton. These comments have been a Huonormous success. This is so damn addictive…. Ok, Ok I have no Huon and I must pun! I’m done. Huon and done, that is. Not to be confused with Huan the Hound of Valinor. Review. More of a synopsis. Huon be a busy busy boy. 1980 cover. 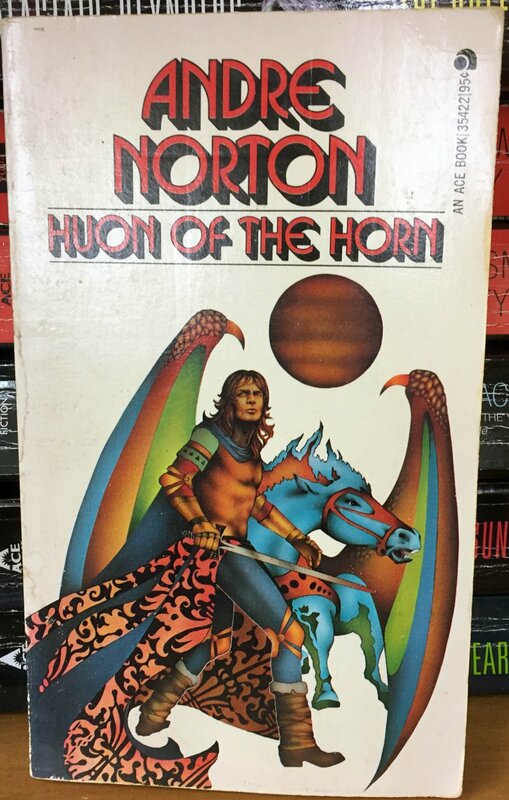 Now that’s a Huonormous horn. He’s got a blue Shetland pony with an enlarged head and rainbow dragon’s wings. He also seems to have the tattered vestiges of a Laura Ashley curtain handing from his waist, which would trip him if he ever got into a sword-fight. I contend, therefore, that this cover was based on original tableau by an eight year old girl in 1981 and that the sequel has a Cindy doll driving her brother’s Palitoy tank over a poster of Shakin’ Stevens. The seventies had a Lone Ranger doll complete with horse. Huon could be repurposed Tonto. He’s probably wearing the fabulous cape to distract from the poor winged horse’s deformed legs. The cover was of course recycled from from the album “Classic Rock Vol.6 — Performed By the London Symphony Orchestra”, released by K-Tel in 1980. @AR: I had that one as a gift from my parents. My favourite was ‘Born to Be Wild, But Not As Wild As My Horse’.